You may need to display velcro-back modular patches, such as our new small I.D window but will not be carrying a pack, bag, or uniform that has velcro panels. Use Badger instead. 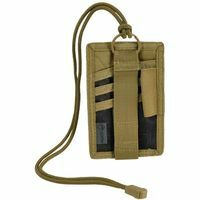 It has a neck-lanyard but it can also be worn on a belt or woven into MOLLE on modular packs/bags. 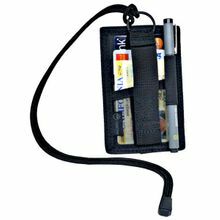 There is even a basic wallet/organizer on the other side!